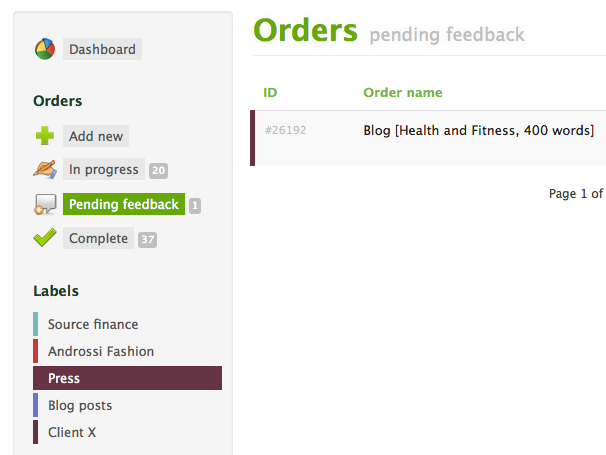 Copify users can use labels to categorise their orders and keep track of content projects. 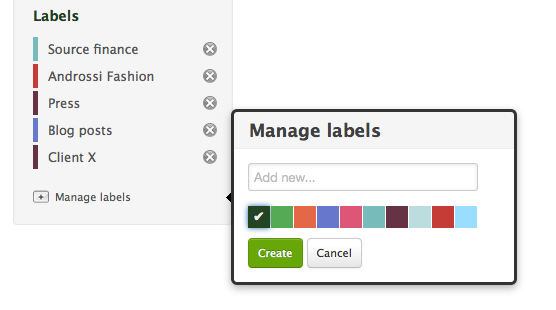 To create a label, first click on the + icon next to the text 'Manage labels'. Here you can choose a name and a colour for your label. Once you have created a label, you can assign it to orders. First, navigate to the relevant section of orders (In Progress, Pending feedback, Complete), select the relevant orders by checking the box to the right of the screen and then select the desired label from the 'Labels' dropdown. Once you have created a label and assigned orders to it, you can view these orders by clicking on the label underneath the Labels tab in the left hand navigation.